Mystic, CT, is a place full of history and outdoor activities, but if you want to take a break from the beach or escape the rain, head over to the Mystic Aquarium! Discover the beautiful and colorful world of under-the-sea creatures, learn about their habitat and be a part of an exciting adventure! See spectacular sea lion shows or head to the 4-D theater for a thrilling time. This activity is ideal for the whole family, so don’t miss out on the fun and spend a day at the Mystic Aquarium! Have a wonderful time at the Mystic Aquarium and learn more about all the other great activities around Mystic and download our Free Vacation Guide! Find out about our top recommendations for outdoor adventures, delicious restaurants, museums, and more! Dive in for an Unforgettable Adventure at the Mystic Aquarium! A trip to the Mystic Aquarium is a perfect daytime activity that is both fun and educating. Their mission is to inspire people to care for the ocean and protect its inhabitants while learning about them. It offers both indoor and outdoor experiences for the entire family and gives every visitor the chance to explore the sea world in an interactive way. Wander around to discover this stunning technicolor world the way you want to! You are free to make your itinerary and choose the activities you prefer. The beluga whales are the most popular attraction in the aquarium. Enter the world of these giants and discover this fascinating yet critically endangered species. These are the only ones you’ll see in New England and the Arctic Coast exhibit about them is one of the largest in the country. African penguins are an endangered species that is experiencing a drastic decline in the wild. The population declined more than 60% last year due to their nests being destroyed and they are expected to disappear in our lifetime. In the Mystic Aquarium, you get the chance to see more than 28 of them! Alligators and Amphibians with Exploration: Wild! Learn about the wetlands and rainforests with this interactive display of alligators and amphibians! This exhibit is particularly popular with the little ones, but will appeal to everyone. Travel through numerous habitats such as jungles, open oceans, wetlands, and discover the secrets of these tropical specimens. Get a chance to approach sea lions like never before with this live theater show. Running daily for 15-20 minutes, it’s a must see! Steller sea lions are particularly endangered and Mystic Aquarium does anything they can to protect them. It’s your chance to contribute and have a great time! Bring your experience of the underwater world to another level! Take a seat in the 4-D Theater and watch beautiful National Geographic documentaries come alive before you. Explore the Wonders of the Arctic and its icy wilderness, dive in for the Great White Shark adventure or learn about the Sea Monsters that have roamed the earth throughout the prehistoric era. 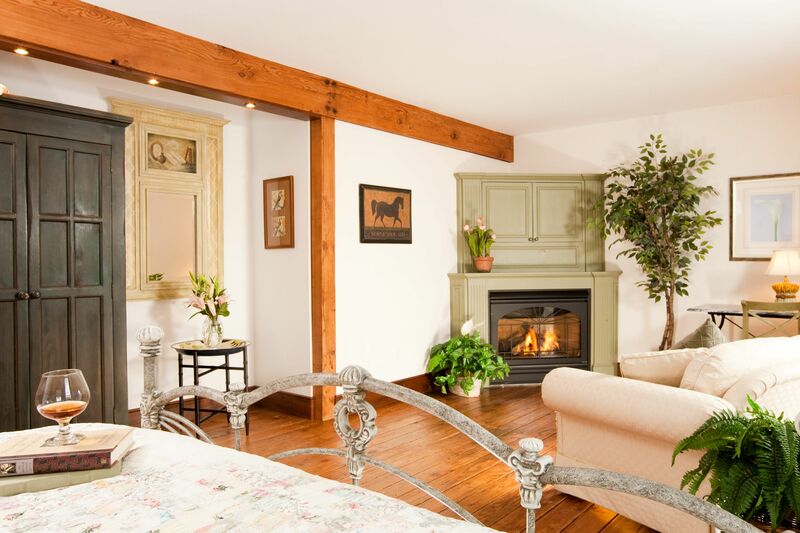 After having a blast spending the day at the Mystic Aquarium, come home to one of our comfortable accommodations at the Stonecroft Inn. The Lily Suite is the perfect nest for you with a large queen feather bed and a Jacuzzi tub. Cozy up by the fireplace with a glass of wine and top it all off with a delectable spa massage. Wake up the next morning to a delicious homemade breakfast and start the day with fresh eggs and fluffy French toast or pancakes. Book your stay today at Stonecroft Inn and have the relaxing getaway you deserve!